Here are some neat new bundles we've made this week! We went with festive, girly, and playful (with a dash of spooky!). Check out all of our custom bundles here. I would love to see some bundles to make boy's shirts. Or bundles to mix and match for girl's dresses. I'd like to see a bundle to make a 21st quilt for my son - I can't seem to get a good idea for the right fabrics and his birthday is Feb next year, so I'm fast running out of time! I like modern prints with clean lines in a mix of bright colours. 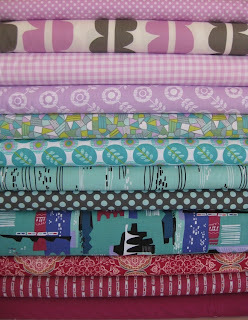 My ideal bundle would have some houndstooth, chevrons, birdie spokes and solids in pink, orange and lime green. I have to say the "Spellbound" bundle is also droolworthy. Old time Christmas prints would be nice. Love what you guys are doing with those bundles in the post - gorgeous! I am dying to see a raining rainbows bundle! And maybe some NFL team colored bundles! How can our hubbies object to more fabric and another quilt, it we can use it at the stadium? Gostaria de ver natal com aquas na mistura,anos idos fiz para minha irmã um caminho de mesa assim,nunca mais vi o tecido em lugar nenhum. a technical big boys bundle would be great ! Would love to see a neutral schemed men's bundle. Plaids, tweeds,geos stripes, etc in greys, black, blues, browns, greens. I would love a rainbow prism bundle, either solids or prints (or both!). More organic bundles would be great! I try to only buy organics now, but I make an exception for the sublime Japanese linen cotton blends because, well, I just can't help myself! I like the zakka style idea. 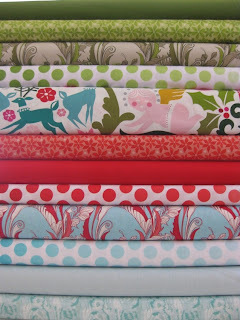 How about dots there seem to be a lot of cute dot fabrics out right now. OH! 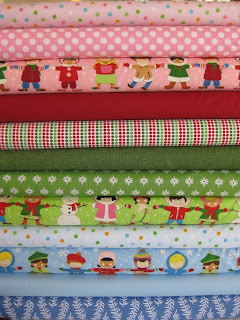 I love this colors in these fabrics, just calling to make a good quilt for a little one in your family. Just the colors I love to work with. What is the fabric you have been on the hunt for? I want to find in a store some of the material with the fox and red riding hood and also the little children in a circle. The designer's name escapes me now. I'd love to see a Scandinavian themed bundle with lots of red and white! I want a beach-vacation themed bundle so badly! I want to use it to make little reversible makeup bags for the women in my family for when we all go on our vacation next month to the Jersey Shore. 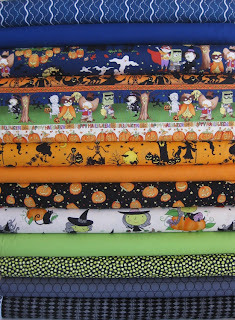 I'm loving the October Afternoon fabrics. Alice Kennedy and Emily Herrick have some great beachy fabrics too. It could be so cute! I like to not only have the possibility to order the bundle, but to also have an option where you've chose solids that will match as I'm using solids quite a bit these days. I really love the Japanese prints, especially the ones with characters.